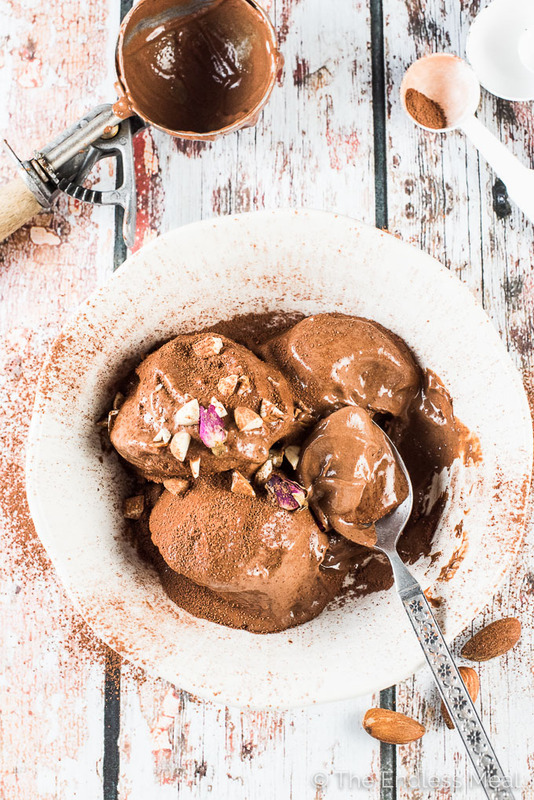 Almond Chocolate Nice Cream is as dreamy and delicious as it gets. You'd never guess that this easy to make sugar-free + vegan + paleo ice cream is made with only three ingredients and is super healthy, too! Sometimes a girl's got to have ice cream. ? Like the day that she finishes a month long ice cream fast, otherwise known as The Whole30 Program. One month without ice cream. One long month. You guys, that actually happened. ♡ Dairy free VEGAN deliciousness. ♡ WAY easier to make than regular ice cream. ♡ Made with three HEALTHY ingredients. 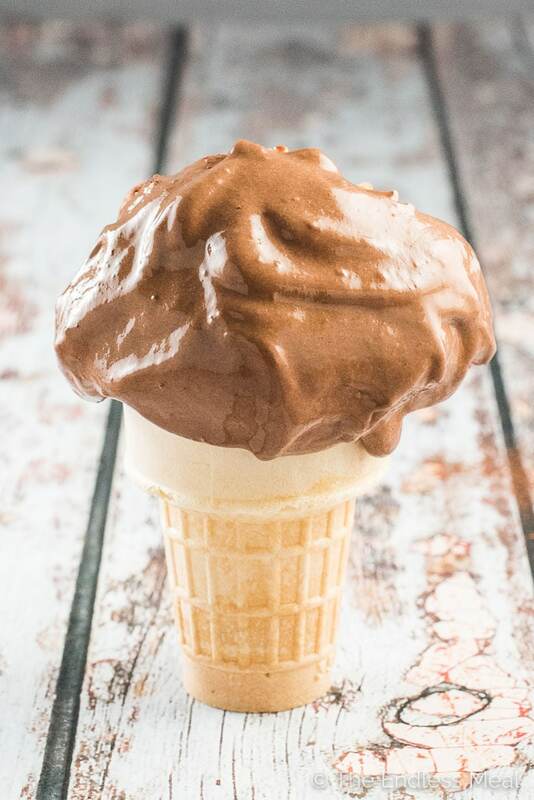 Now I'm not putting down regular ice cream here, but Almond Chocolate Nice Cream has planted itself firmly in the “will have on the regular all summer long” category. 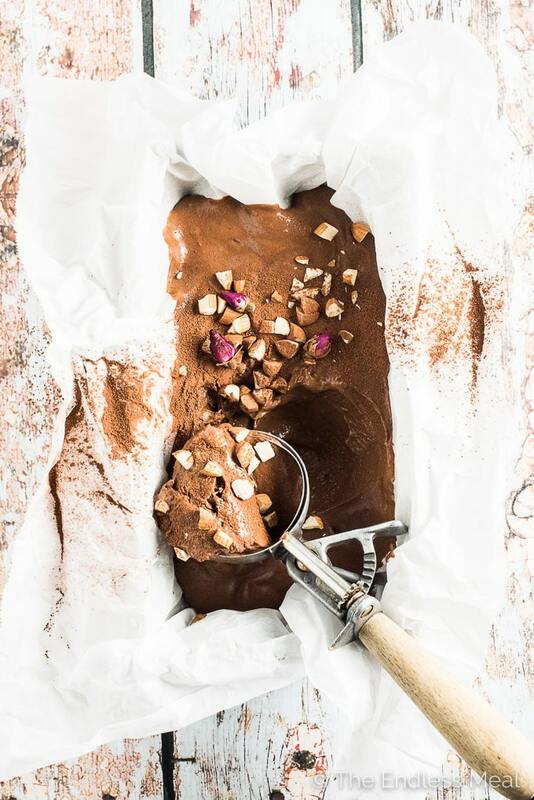 It seriously takes less than five minutes to make, is healthy enough to eat for breakfast, and tastes like chocolate ice cream. ← Thinking I may go on a nothing but nice cream diet this summer. ? Can we talk about healthy desserts for a minute? I've got a bit of a confession to make. Please don't judge me too harshly. Here it goes … I sometimes often turn my nose up at healthy desserts. There, I said it. Oh man, I feel embarrassed for saying that out loud. My cheeks are getting a little flushed right now. ? 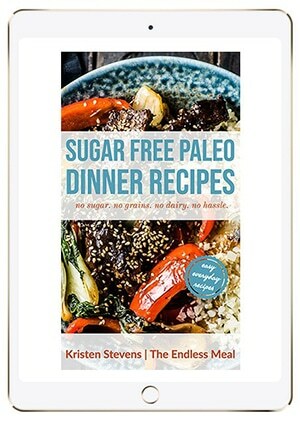 You see, when I see things like healthy dessert recipes, my head starts spitting out all sorts of silly thoughts. Gluten free cake? Eww gross. Just eat some damn real cake. Healthy brownies? Are you kidding me? Way to take the treat out of the treat. Dairy free/ sugar-free ice cream? Did the no fun police roll into town? Basically, I tell myself that if you're going to eat dessert, make it worth it. Don't skimp and try and make healthy. 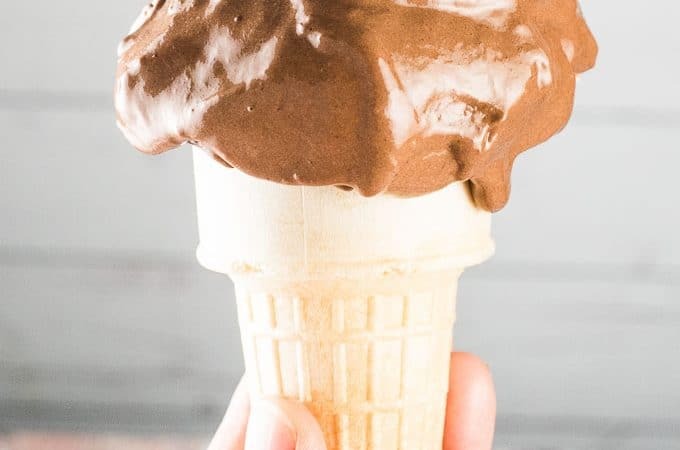 When I had it the first time (there have now been a few times) after I finished my Whole30 adventure, I swore it tasted EXACTLY like chocolate ice cream. Not eating dairy, sugar, or anything resembling dessert for a month will do that to you. The second time I ate it, I was a bit more realistic. It is different than chocolate ice cream, but that's ok. It's super creamy and chocolaty and has a subtle banana flavor. The banana part is not overwhelming at all. This is all about the chocolate. If you have kids (do you have kids?) then Almond Chocolate Nice Cream is going to send you skyrocketing to parenting superstar status this summer. I share this with my almost one-year-old girl, Avalina, and she has no idea it's any different than regular sugar-loaded ice cream. You should see how wide she opens her mouth for a spoonful of this. It's like she hoping for a shovel full of ice cream. ? She loves it and I feel good giving it to her. We sometimes snack on slices of bananas with a little almond butter on top. This nice cream is basically the same thing. Total healthy snack situation going on here. And yes, I did just call ice cream a snack. So not apologizing! If you make this Dreamy Almond Chocolate Nice Cream make sure you snap a pic and tag #theendlessmeal on Instagram so I can like and comment on your photos. I love seeing TEM recipes you create! 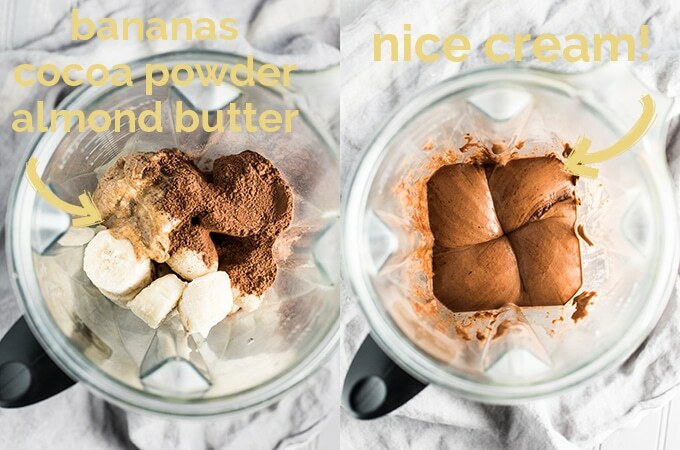 Place the frozen bananas, cocoa powder, and almond butter in your high powdered blender (I love my Vitamix!) or your food processor. Note: if you are using your food processor you will need to add some almond milk to help it blend. Start with 1/4 cup and add more as needed. Blend on high until smooth, using your plunger to help push the bananas to the bottom of the blender. 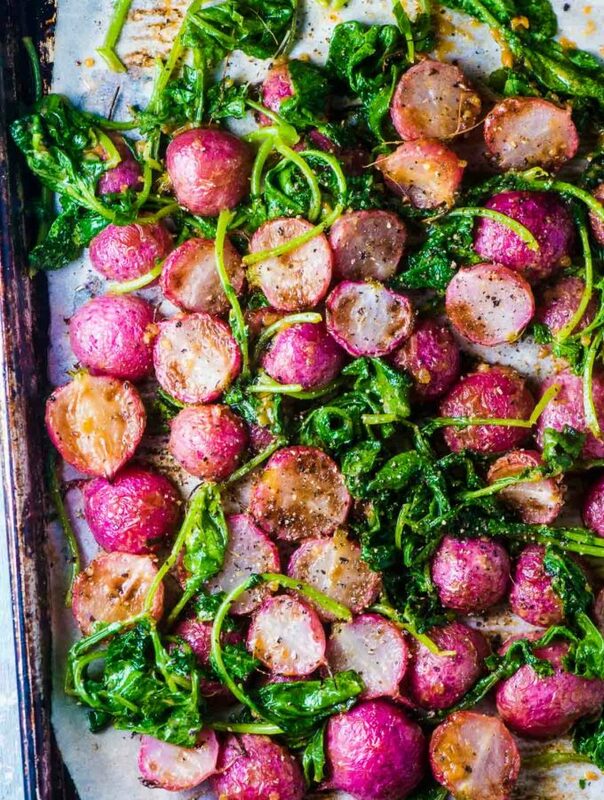 Serve immediately with any or all of the toppings or freeze for up to an hour. A single serving recipe is 1 banana + 2 tablespoons cocoa powder + 1 tablespoon almond butter. I find that banana ice cream does not freeze very well. 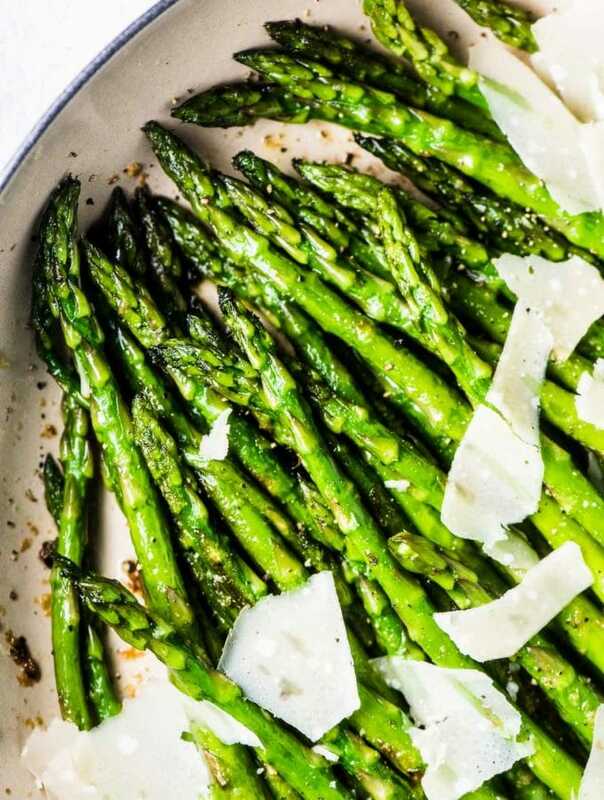 Ideally, it's best to either make it and eat it right away or freeze it for an hour or less. If you have leftovers, freeze them in a small container but know that the edges of the ice cream will soften while the inside is still very solid. It makes it a little tough to eat, but it is still delicious. That’s amazing! Your story totally made my day!! I am the kind of gal who’s gotta have ice cream…ALL THE TIME. Yep, ALL THE TIME, LOL! Chocolate nice cream is my favorite! This looks absolutely PERFECT! Thank you for this super delightful ice-cream! I did it my way with fresh liquid cream instead of almond butter with I didn’t have and work perfectly. So nice to ‘meet’ you! I’m with you on the weather warming up. We deserve some sunshine!! I read the recipe and thought it was a lot of cocoa powder but I was still drooling at the thought of this vegan treat. Then I read your note for a single serving and see that the proportion of cocoa powder to almond butter is not consistent. Please correct whichever one is in error. I enjoy your blog and recipes. I am not strictly vegan, but find that vegan foods are easiest for me to digest. Do you deliberately omit nutritional numbers (i.e. Calories and grams of protein per serving)? It is convenient for me when a recipe includes that data, but it is not a deal breaker. I have tools to calculate those numbers for myself. The recipe was the correct one! It’s really nice and chocolaty.